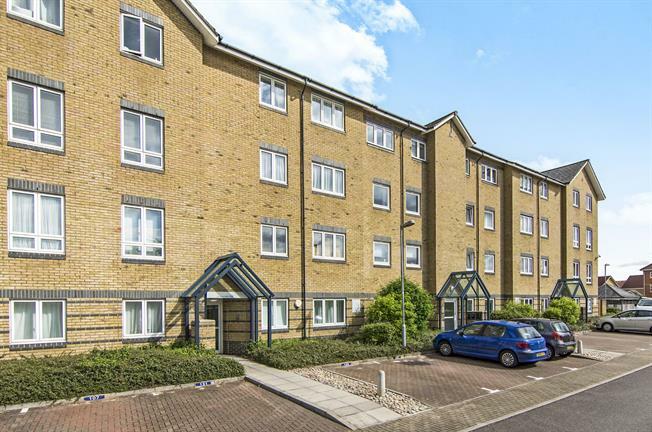 2 Bedroom Flat For Sale in Grays for Offers in the region of £230,000. CALLING ALL FIRST TIME BUYERS AND INVESTORS! Are you looking for a modern apartment with close proximity to Chafford Hundred train station? Want a property ready to move into? Then this two double bedroom first floor apartment in the popular Quadrangle development is the property for you! Internally there is an entrance hall, three piece white bathroom suite, two double bedrooms, modern fitted kitchen and an l-shaped lounge/diner with views of the beautiful communal gardens. An internal viewing is highly advised.